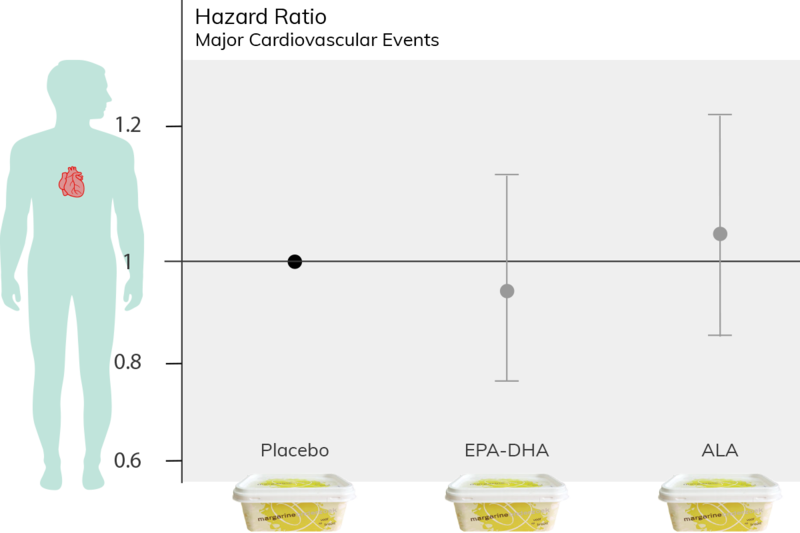 The Alpha Omega Trial was a randomised double-blind placebo-controlled trial carried out in 4,837 patients after a heart attack, in which the hypothesis was tested that low doses of omega-3 fatty acids reduce major cardiovascular and fatal coronary events. When the Alpha Omega Cohort was installed as a continuation of the Alpha Omega Trial, it gained a lot of data that is currently being analysed and published. From the first ten years, we want to highlight four main findings. For these four studies, the cohort characteristics, baseline, and follow-up were similar. As patients that suffered a heart attack in the ten years leading up to the trial, almost all received drug treatment: 86% used statins, 90% used antihypertensive medication, and 98% used antithrombotic medication. The baseline measurements included detailed dietary and physiological assessments as well as blood sample collection. The median follow-up was 6.4 to 7 years. For detailed information on the measurements, visit the measurements page. During follow-up, close to 20% of the patients died, of which 42% from cardiovascular causes, 35% from cancer, and 22% from other causes. We developed infographics to show the data of these main findings. Click on the findings below to see the data visualisations. We aimed to assess whether healthy eating lowers the risk of CVD and all-cause mortality in cardiac patients by developing and using two questionnaires that assessed healthy and undesirable nutrient intake. 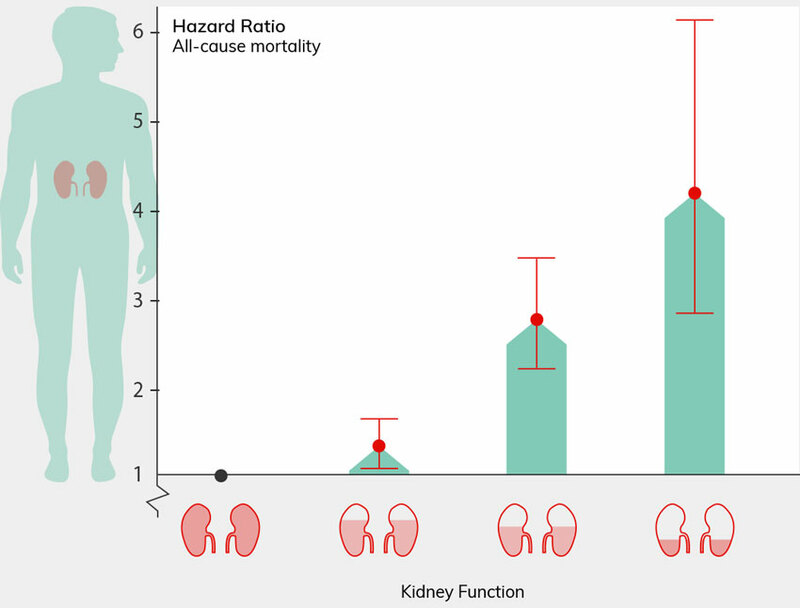 Chronic kidney disease (CKD) is highly prevalent among older post-myocardial infarction (MI) patients, and we tested its relationship with mortality using Glomerular Filtration Rate (eGFR) with cystatin C (cysC) and creatinine (cr). We examined the risk of cardiovascular disease (CVD) and IHD mortality when the sum of SFAs and trans fatty acids (TFAs) was theoretically replaced by total UFAs, PUFAs, or cis monounsaturated fatty acids (MUFAs). We determined hazard ratios for mortality in increasing degrees of coffee consumption based on multivariable Cox proportional hazard models, while adjusting for lifestyle and dietary factors.